To use, pack 1/4 pound (1 stick) of butter into the lid of the dish. Pour approxametly an inch of water into the base. enough water to cover the inverted lid. Oil and water do not mix so your butter will stay fresh and soft. When you place the lid onto the base, an air tight water seal is created, which prevents air from spoiling the butter. Dimensions, approximately 3 and 1/2 inches tall by 4 and 1/2 inches wide. 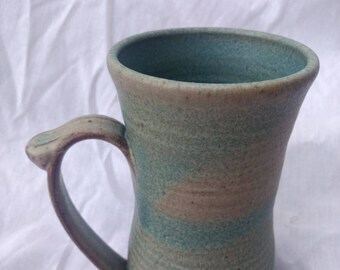 Because of the natural variations in the creating/forming of the clay artwork, and the high temp gas firing; not all glazes or pieces will look exactly the same, each one is unique. Awesome piece. Colors even better than pictures. Packaged securely with a big roll or bubble wrap. Such a beautiful piece! 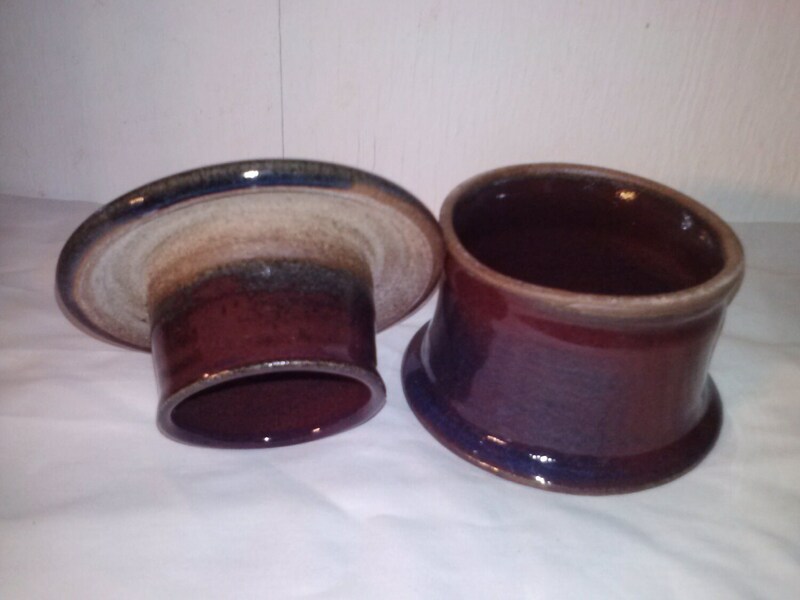 I love how each piece turns out so unique with the colors - it will go great with the rest of my kitchen pottery set! I received my item very quickly and well packaged for such a fragile item! This seller is awesome! Thanks again. Such quality work!